Magical merging of comfort with casual sophistication is distinctively expressed in this spacious 4-bedroom, 4. 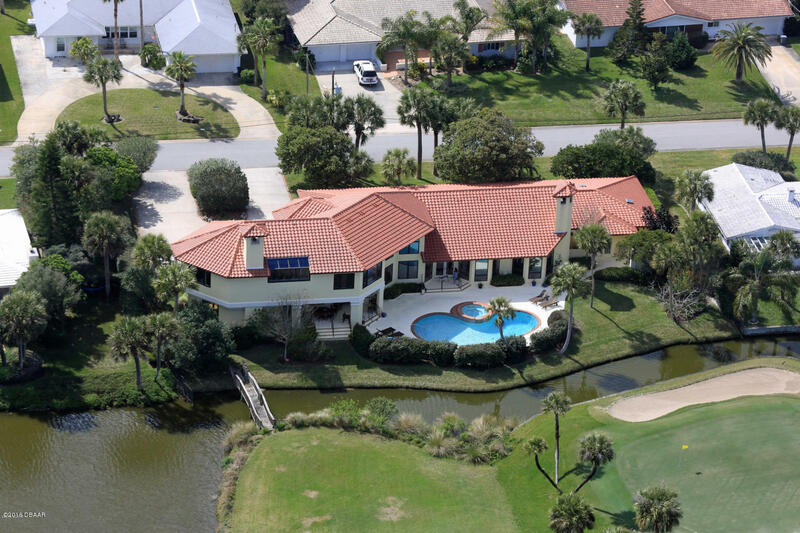 5-bath pool residence spanning over 5,600 sf on a double lot. Originally built in 1961, tripled in size in 1990 with ongoing impressive improvements that includes a new roof in 2013. Truly a masterpiece of design and craftsmanship with expansive windows, three fireplaces, narrow planked hardwood floors, cove lighted 20' tray-ceilings -- and tucked away on the second floor, totally secluded from the rest of the house, is a huge master bedroom wing with a separate sitting room (nursery, office, or fifth bedroom), full ensuite bath, fireplace, and two massive walk-in closets. 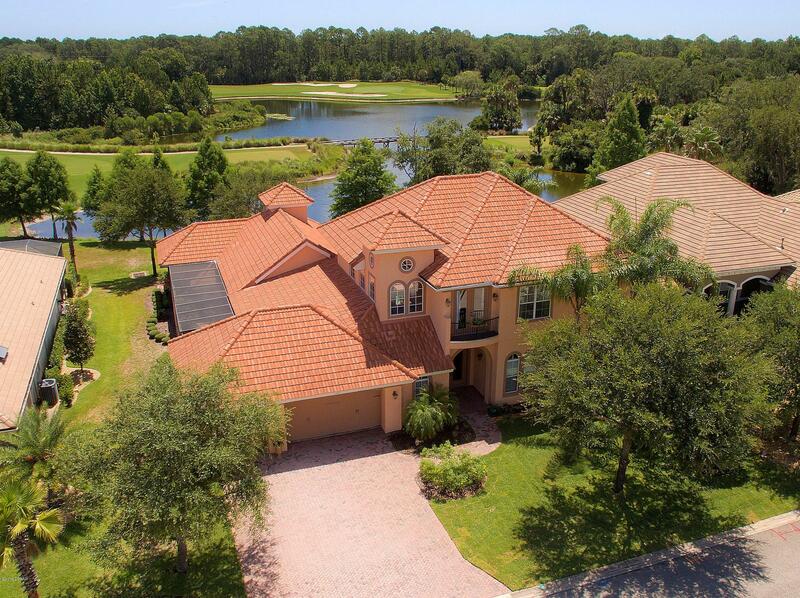 Rare opportunity for this sprawling custom estate home on 1 acre of land right in the heart of ormond beach. 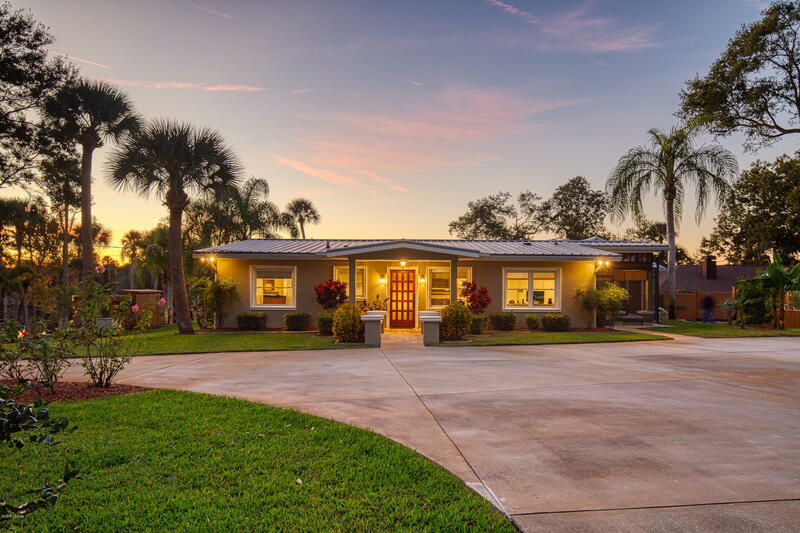 The best of both worlds with an impressive parcel of land to spread out on while still maintaining a neighborhood feel with an end of cul-de-sac location under tall oaks here in stately tidewater which is situated along the tomoka river on a high ridge. 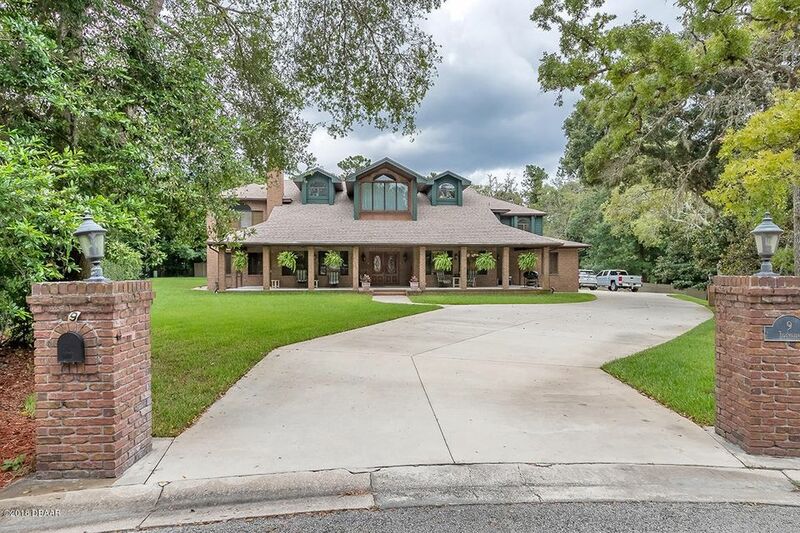 An inviting wide front porch with low slung brows welcomes visitors to sit in the shade before entering the handcrafted solid wood front doors and stepping into the impressive grand living room with soaring tongue-n-groove ceilings hovering above a monumental brick fireplace. Continued. 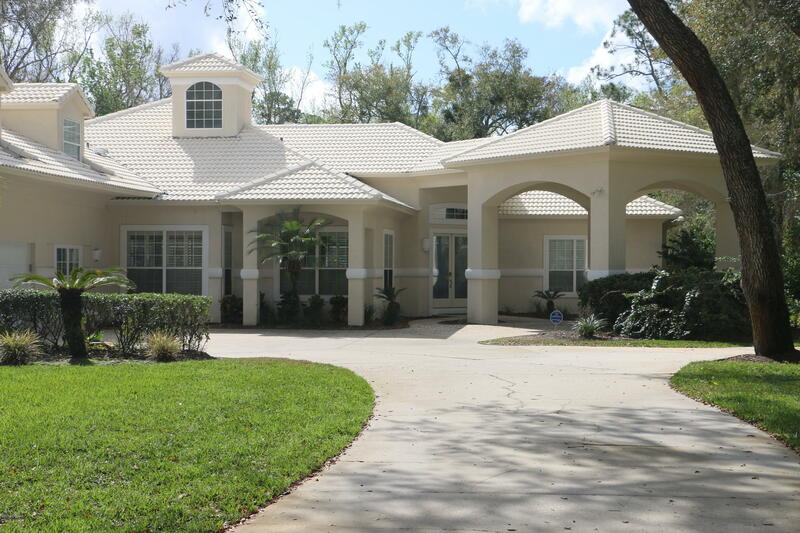 Spacious executive pool home located on an estate sized corner lot. 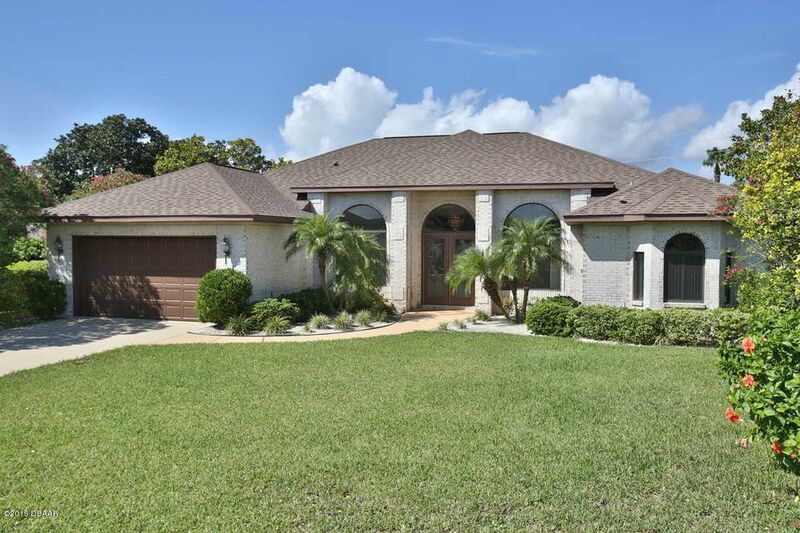 Enjoy tranquility in prestigious estates section of halifax plantation. 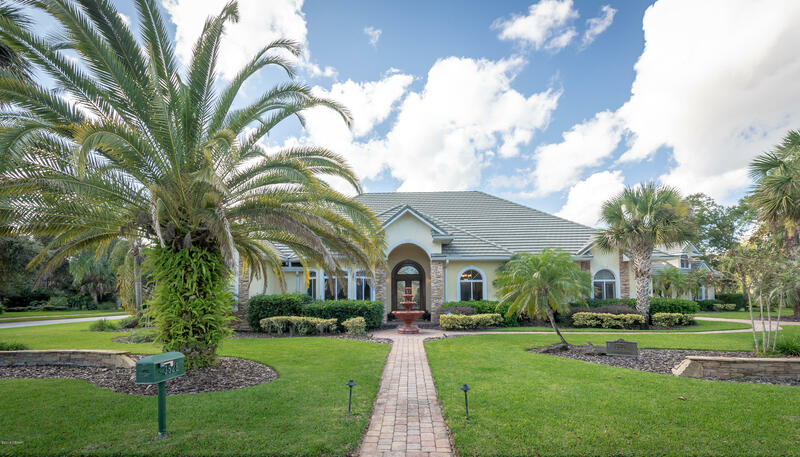 Situated on68 acre lot with lush landscaping, and shady oaks. 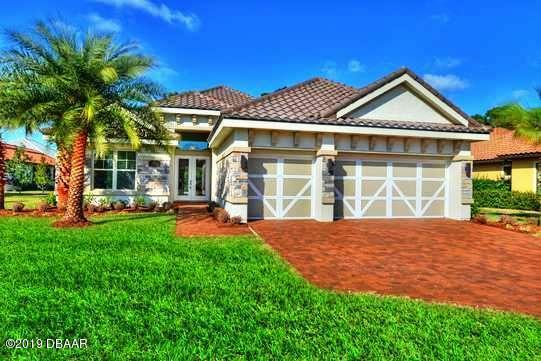 Enter the property on a circle brick drive that leads under a portico to the 4 car garage. Inside the home you will find all the upgrades expected. Large open floor plan perfect for entertaining. Great room with gas fireplace with 12' ceilings to add to the airy feel. Tray ceilings, fans, excellent window treatments. Your master suite has pool access, a huge walk in california closet, and private bath with dual vanities, whirlpool tub and separate walk in shower. The sparkling screened and heated pool with beach entry is perfect to sit and enjoy the water or great for toddlers or dogs.